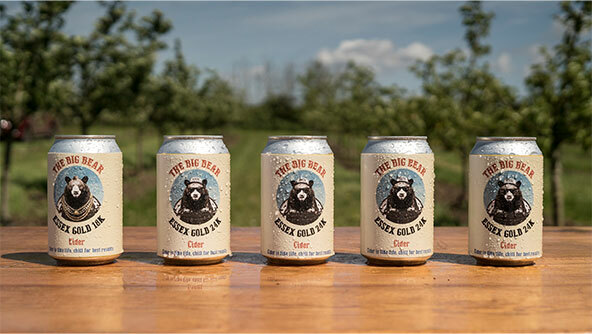 The Big Bear Cider is made from apples grown on our farm in Tumblers Green, Essex. The Big Bear Cider is made from apples grown on our farm in Tumblers Green, Essex. We plant the trees, we pick the apples, we make the juice and we ferment the cider. Our company was created in 2015 and our mission is to turn our passion for apples into quality cider, specifically designed to satisfy the growing demand for high end ciders. LIFE AND CIDER ARE SIMILAR, CHILL FOR BEST RESULTS. The Big Bear Cider is always made with 100% fresh-pressed apples, this method ensures maximum flavour. A tonne of apples will produce approximately 500 litres of pure juice. The juice is fermented using yeasts carefully chosen for their ability to bring out the delicate aromas and flavours of our apple varieties. A long, cool fermentation then allows the full Cider characteristics to develop. Are Fruit Flavoured Ciders Actually Cider?